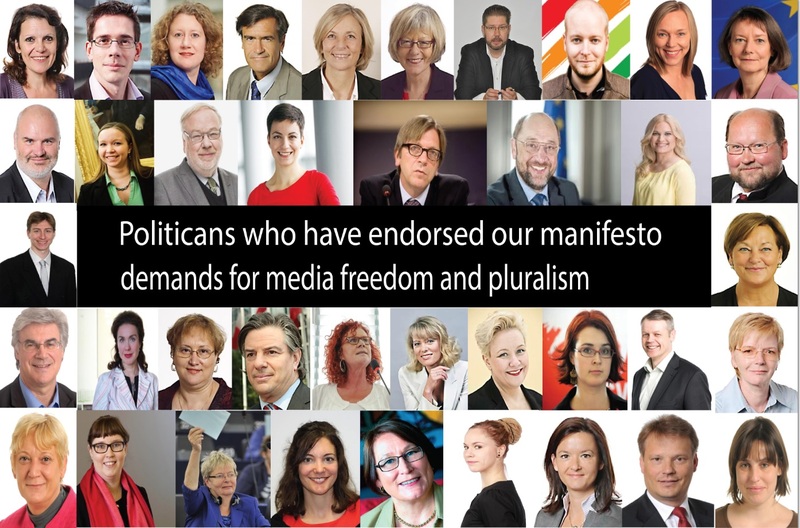 Over 200 candidates for the European Elections have endorsed our Manifesto calling for media freedom and pluralism in Europe. Now some of them have been elected to serve the citizens for the next five years, they shall keep their promises by putting media pluralism at the heart of the EU agenda because Europe’s democracy relies on independent and pluralistic journalism. The new European Parliament and Commission shall renew their commitment and continue the work of the High Level Group on Media Freedom and Pluralism. They shall implement the recommendations made by the group and listen to journalists and their representatives to create conditions where independent and pluralistic media can thrive. The EFJ is ready to meet the newly elected parliamentarians and future commissioners and to provide contributions to make a difference in Europe’s future media landscape. Decent working conditions, authors’ rights protection and safety of journalists are crucial for an independent and pluralistic journalism. However, they cannot be achieved if the rights to join an association or union and to collective bargaining are not guaranteed for all journalists. EU-policy makers must ensure that these fundamental rights are guaranteed for all journalists, including freelancers, in all EU countries. Authors’ rights should be on top of the EU agenda because it is the guarantee of authenticity and pluralism in journalism. 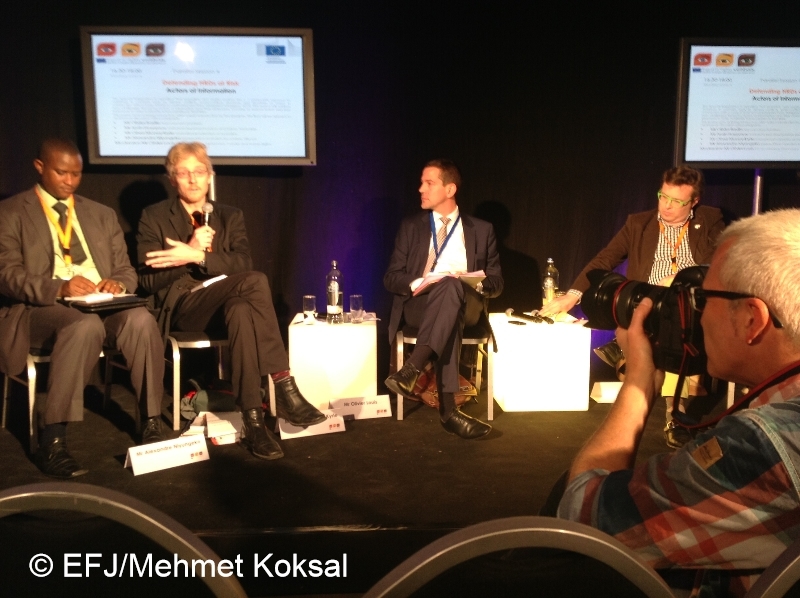 Without the protection of authors’ rights, how can journalists earn a decent living and be independent? Pluralism in the media will suffer as a result of the lack of diversity in media content and ownership. Safety of journalists is equally important to ensure independent journalism. Actions should be taken swiftly to counter the danger faced by journalists in their daily work. 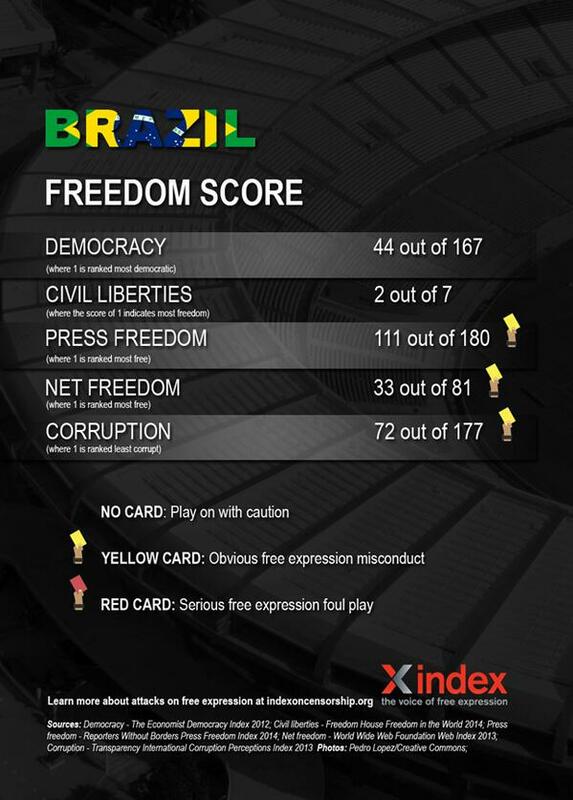 Attempts by governments to regulate the media should be challenged. Self-regulatory measures and press councils shall be further promoted to ensure quality and independence in journalism. We often look to other continents when we talk about capacity building. But in Europe, we still have a lot to do. The EFJ is ready to cooperate with EU-policy makers to achieve these goals. 2014 European Elections: What’s next? (25. 5. 2014) Following the votes of European citizens, the European People’s Party (EPP) has won the majority of seats (221) in the European Parliament, followed by the Social and Democratic Party which has won 191 seats. Meanwhile, concerns of the increasing seats (37) gained by the right-wing party, the European Freedom and Democracy Party, have been expressed. 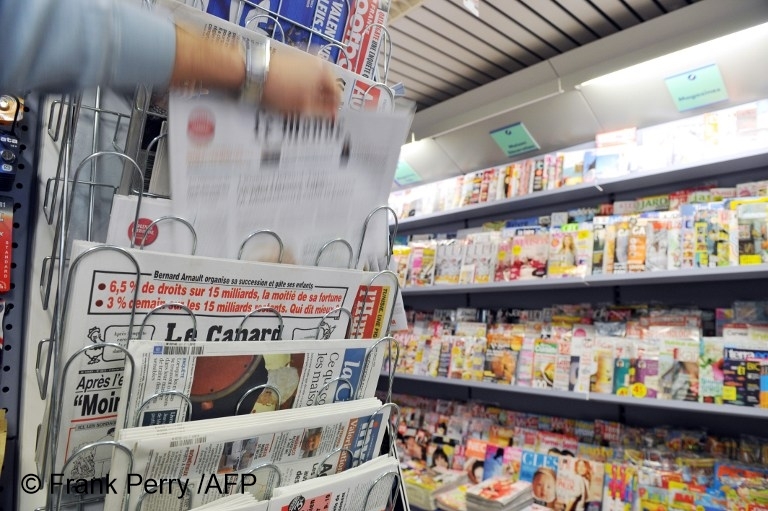 The EFJ affiliate in France, SNJ-CGT, has warned about the role of mainstream media in reporting far-right parties during the European Elections. Negotiating is currently taking place among member states in the European Council about the appointment of the next European Commission President. The new Commissioners will be appointed in the autumn before the current Commission’s term of office runs out on 31 October. Elected MEPs will take up their duties in the new European Parliament on 1 July when they will decide which parliamentary committees they will join. During the election campaign, over 200 MEPs have endorsed the EFJ Manifesto by committing themselves to promote media freedom and pluralism. In the coming months, the EFJ will arrange meetings with these MEPs to ensure their support during their terms of office in promoting media freedom, pluralism and social rights for journalists. 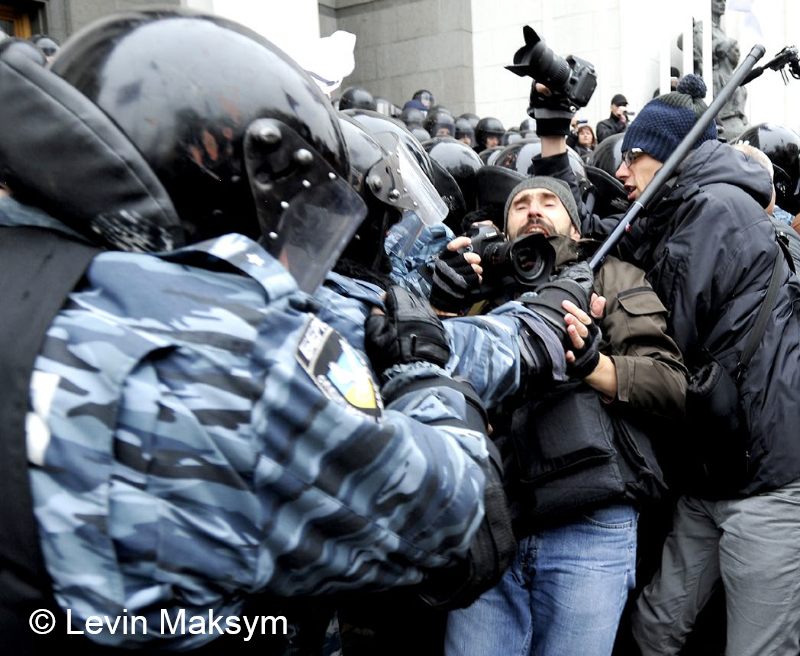 (3.6.2014) The EFJ has officially confirmed that the next Annual Meeting will be held in Moscow on 21-22 November, before the International Day to End Impunity on 23 November, in order to highlight the recent tensions and pressure facing journalists in the country. Earlier in June, Ricardo Gutiérrez, the EFJ General Secretary and Oliver Money-Kyrle, the IFJ Assistant General Secretary, met with colleagues at the Russian Union of Journalists (RUJ) in Moscow, as well as representatives from Russian NGOs and independent media. Facing growing state crackdown on media, they have welcomed the decision to hold the EFJ Annual Meeting in Moscow as a gesture of solidarity. “We need more than ever international solidarity,” said Vitaly Yaroshevsky, the deputy editor-in-chief of Novaya Gazeta. (11.6.2014) One year ago the Greek government stunned the nation and the journalism community by shutting down the country’s public broadcaster. On the eve of this anniversary, the EFJ backed the protests held by Greek journalists to mark the day and reminded the government that it has failed to fulfil its promise to restore an independent public broadcaster for the Greek public. (16.6.2014) Journalists in France Télévisions went on strike against the recent move by the government proposal to weaken the social protection for freelance journalists and cultural workers. Ricardo Gutiérrez, the EFJ General Secretary has sent a solidarity message to the journalists on strike and its affiliate (SNJ-CGT) backing their struggle to defend public service broadcasting in France. (11.6.2014) The EFJ’s German affiliates, the dju in ver.di and the DJV, together with Reporters without Borders, Amnesty International Germany and other civil society organisations, sent a letter to the German Foreign Minister, Frank-Walter Steinmeier, on the Transatlantic Cybersecurity Dialogue. The group called on governments to respect the constitutional rights of German and US citizens and the protection of whistleblowers, as well as the protection of sources for journalists and lawyers. The group also demanded secure communications among human rights groups. 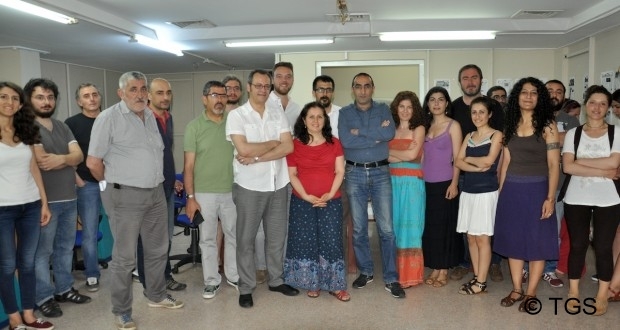 The EFJ congratulated the Journalists Union of Turkey (TGS) on signing a new collective agreement with the newspaper Evrensel benefiting 50 journalists and TGS new members. According to the new agreement, staff will receive 12.5% and 11% salary increase for the first and second year (to counter the high inflation rate – 9.66% in 2014). Other benefits include the annual bonus of one third of the monthly salary, holiday for female journalists on the International Women’s Day on 8 March, child allowance of 750TRY (equivalent to 250EUR).A new workers’ committee will also be elected to ensure the editorial independence of the paper. Thanks to the financial support of the EU-funded programme (EIDHR), the TGS is also negotiating new collective agreements with three other big media organisations in Turkey. (30.05.2014) Employees at the Karşı Gazete newspapers can finally claim victory having reached an agreement with the newspaper owner after 47-days strike. During the strike, journalists continued to prepare the online version of the newspaper which was renamed as”Karşı Resistance”. A special edition of the paper was printed on the World Press Freedom Day with the support of the EFJ-TGS project funded by the EU. Journalists and staff members at Karşı Gazete said that the “Karşı Resistance” will stay as the record in history for the 47-day struggle and victory of the journalists. (12 – 15. 05.2014) “With the rise of new actors and sources of information, I still believe that the professional journalist community is one of the essential actors to the protection of human rights. Journalists are not human rights advocates but they are essential for advocates of human rights to succeed,” said Oliver Money-Kyrle, the IFJ Assistant General Secretary, during the debate held by the European Commission on Human Rights Defenders around the world. Together with other represenatives of human rights and press freedom organisations, Money-Kyrle stressed the importance of journalism in pushing for democratic reforms. 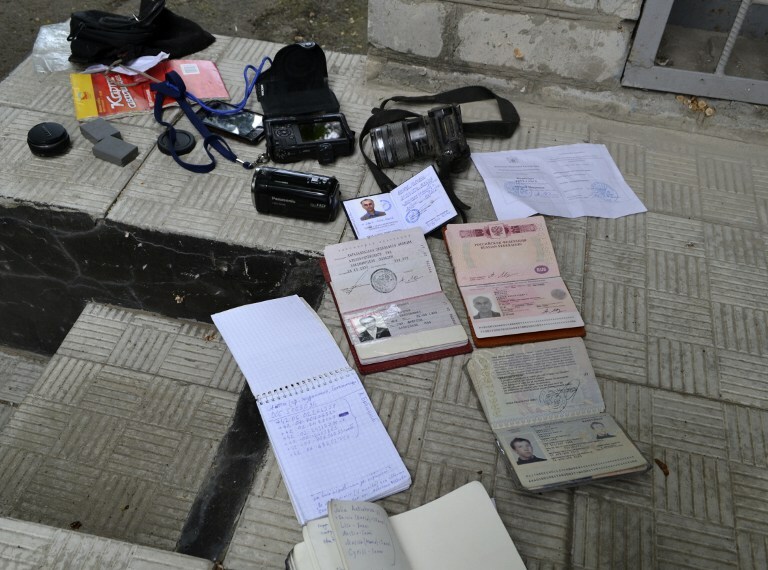 (28.5.2014) The EFJ has called on the Azerbaijani government to stop criminalising journalism following a new wave of criminal prosecutions against journalists, bloggers and human rights activists in the country. The call came after the government sent eight journalists and eight bloggers to jail for their criticism against the government. They include blogger and activist, Abdul Abilov, who was accused of drug trafficking and given five and a half years sentence. Supporters of Abilov, however, said that the imprisonment was due to his web page on the social networking site, Facebook, which criticised the government. (3.6.2014) Journalists at the news portal, Origo, took to the streets in central Budapest protesting against the dismissal of the portal’s editor-in-chief, Gergo Saling, due to political pressure. According to a statement of the opposition party, Saling’s dismissal was linked to the critical articles the news portal has published on the alleged huge hotel expenses incurred by the head of the Prime Ministers’ Office, Mr. Janos Lazar. 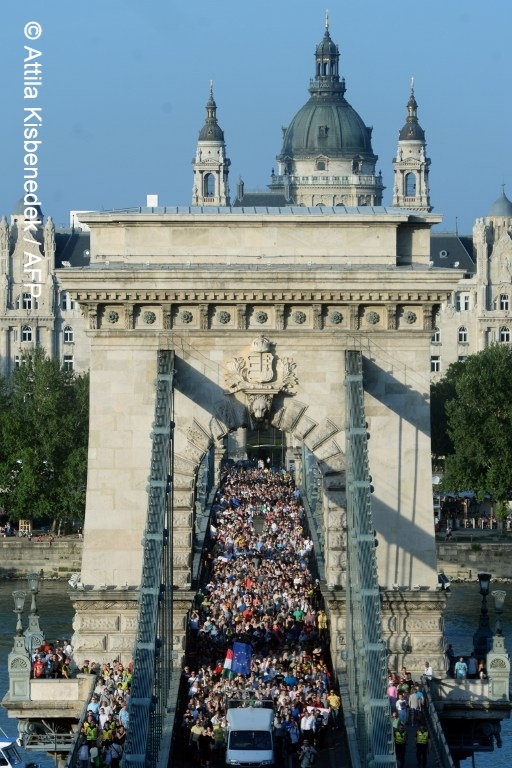 The EFJ affiliate, the Association of Hungarian Journalists, said that the dismissal is another government attempt to stifle independent media. Meanwhile, over 60 media outlets protested, including the Association of Hungarian Journalists, against the planned tax on advertsing. Many are worried that the tax could restrict media freedom in the country. (24.5.2014) Photojournalist Andrea Rocchelli, 30, also known as Andy, was killed along with his interpreter, Andrey Mironov (journalist and political activist), in Slaviansk, Ukraine, becoming the 27th media casualty as a result of the political turmoil in the country. 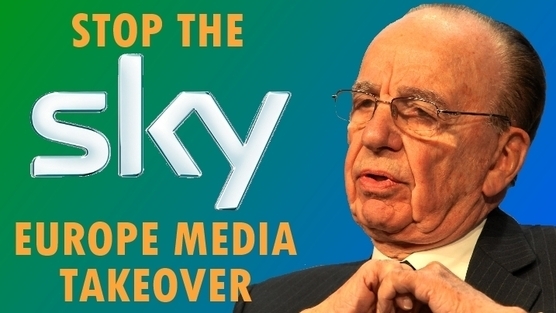 (12.5.2014) BSkyB, the media corporation owned by Rupert Murdoch, has announced its plan to take over Sky Deutschland and Sky Italia, further consolidating its influence of European media landscape. Although Sky Deutschland and Sky Italia are already partly owned by the corporation, there is speculation that the take-over would give the cooperation control over the British satellite broadcaster. The takeover has led to protests among civil society organisations. An online petition has been launched to protest against the takeover which will further stifle media pluralism in Europe and call on the European Commission to investigate the proposed acquisition. You can sign the petition HERE. (4.6.2014) Printed and digital newspapers and magazines will have to pay the same standard VAT (value added tax) as any other commercial goods if a proposal from the High Level Group on Taxation is adopted. This could lead to an increase of the existing zero, reduced rates of VAT on printed newspapers and magazines. Eventually, consumers may have to pay the price and small-and-medium size news organisation could face economic pressure. 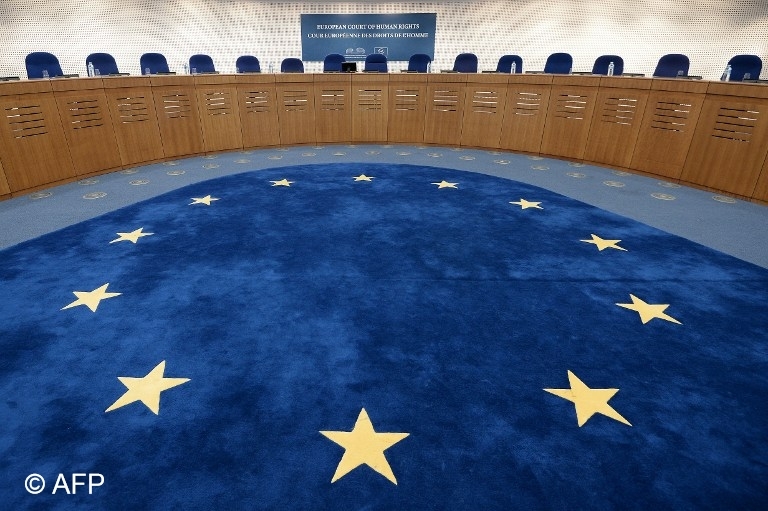 (4.6.2014) The EFJ has welcomed the decision of the European Court of Human Rights (ECHR) to grant an appeal hearing in the case brought by Finnish photojournalist Markus Pentikäinen relating to the violation of his freedom of expression. (19.5.2014) EFJ General Secretary, Ricardo Gutierrez, participated in a roundtable meeting on the safety of journalists, organised by the Council of Europe, in Strasbourg. In the meeting, the CoE announced its plan to launch a monitoring programme in order to prevent violations of the fundamental right to freedom of expression and freedom of association. The EFJ agreed on such a monitoring programme. The CoE proposed the possibility of creating an internet platform to facilitate the compilation, processing and dissemination of information on serious violations of media freedom, notably safety of journalists. A further step could be the appointment of a special representative of the CoE, with a broader mandate to focus on these issues. Sign up for media pluralism in Europe! (11.6.2014) Over 114,301 European citizens have signed up to the European Initiative for Media Pluralism, demanding actions from EU-policy makers to safeguard media pluralism. You can join the movement by signing the petition now! Deadline to sign up your support is 19 August. 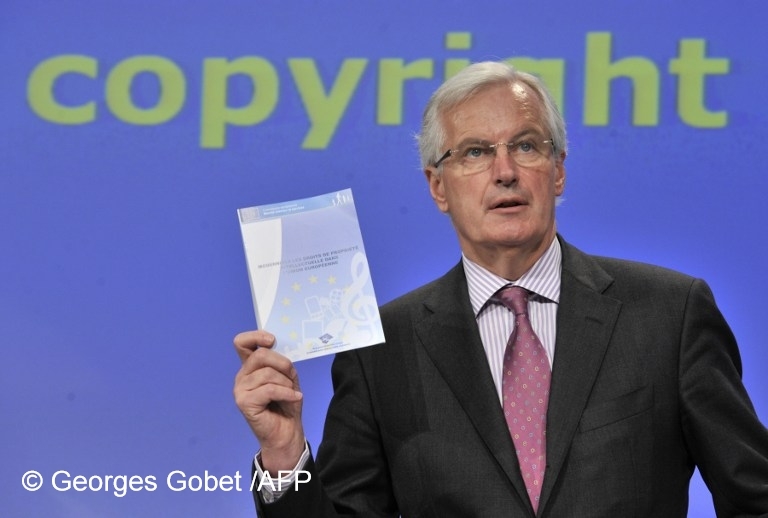 (11.6.2014) The EFJ, together with a group of creators’ organisations, sent a letter to the European Commissioner responsible for copyright, Mr. Michel Barnier (in picture), on the recent review of EU private copying rules. 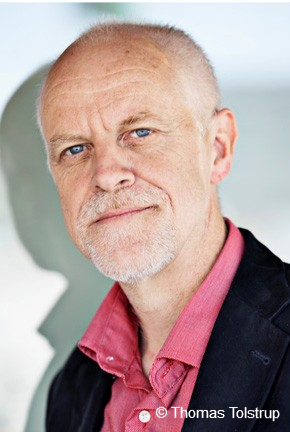 The group called on the Commissioner to ensure that authors should be compensated fairly aguing that payment received by European authors from private copying represents on average 5% their revenue and more than 30% of the total amount collected by collective rights management organisations for performers. (2.6.2014) The European Parliament study on “Contractual arrangements applicable to creators”, was presented to the Authors’ Rights Expert Group’s latest meeting by Maria Iglesias, Head of Research and Analysis at Kea consultancy. The study illustrates the need for EU initiatives to strengthen authors’ bargaining positions, such as formal contractual requirements, remuneration for each form of exploitation of journalistic works, reporting obligations from producers and publishers, reinforcement of collective bargaining. The group also discussed the EU copyright review consultation to which the EFJ contributed and the upcoming European Commission’s White Paper on the subject. It also addressed European Parliament elections’ results and follow-up, new initiatives for the EFJ/IFJ copyright campaign. 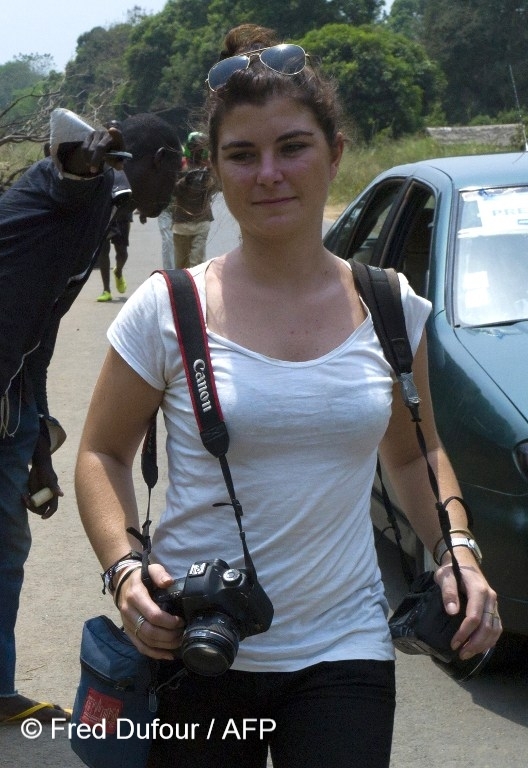 (15.5.2014) The EFJ has paid tribute to the 26-year-old female journalist, Camille Lepage, who was killed in Central African Republic. The EFJ’s affiliates in France, the SNJ, the CFDT and the SNJ-CGT offered their condolences to Lepage’s family and colleages and paid tribute to her incredible commitment to her profession and to ensuring the truth was told. Lepage’s work covering the conflicts in the CAR and South Sudan has been widely published by a number of major news organisations including the BBC, The New York Times, La Monde and the AFP. She had also worked for several non-governmental organisations including Amnesty International and Medecins sans Frontieres. (15.5.2014) “Media Under attack: Balkans and Former Soviet Union Press Freedom Review” is a report published by the IFJ providing an overview of the media situation in the region. It also includes details on press freedom violations recorded since 2011 and outlines the continuing challenges facing journalists unions and their members in the region. 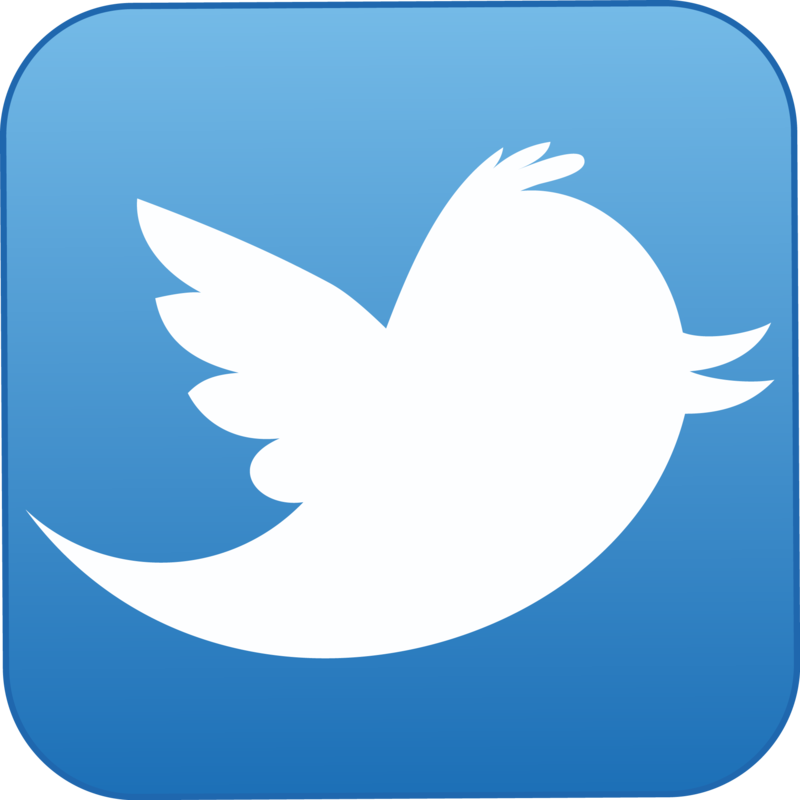 Help us improve the EFJ communcations. Answer our survey now!